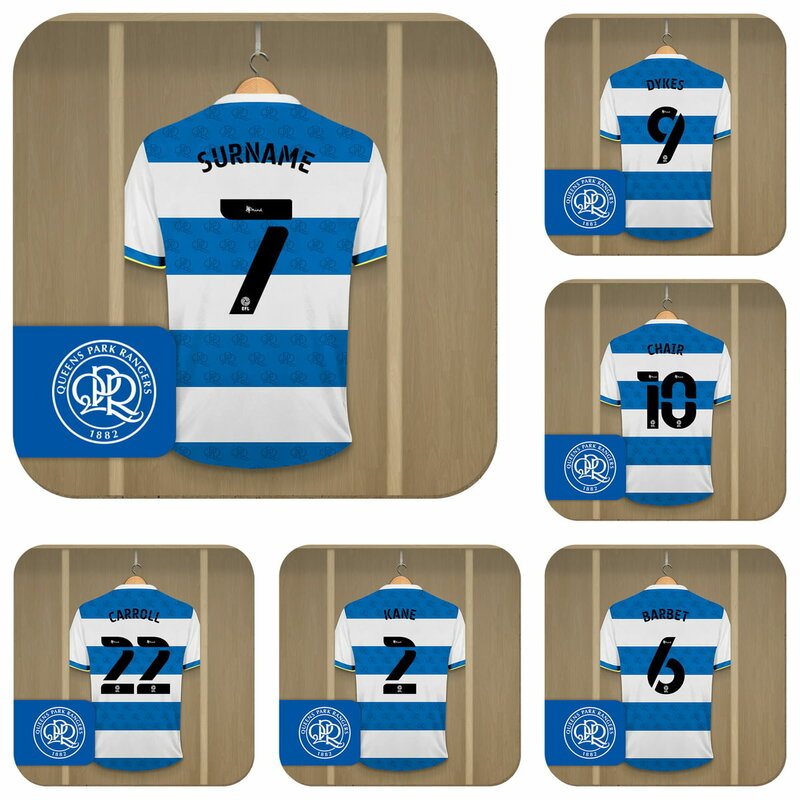 Your selected Surname and shirt number are merged onto the Queens Park Rangers FC shirt. The other five coasters each show a different Queens Park Rangers FC player in the team’s dressing room, making this the perfect gift for any age or occasion. One of our best-selling Queens Park Rangers FC gifts of all time, this personalised dressing room mug is the ultimate must-have for any Queens Park Rangers FC fan. One of our best-selling Queens Park Rangers FC gifts of all time, this personalised dressing room print is the ultimate must-have gift for any Queens Park Rangers FC fan. This truly stunning gift is sure to raise a smile as the recipient sees their personalisation on the Queens Park Rangers FC Retro Shirt Mug. This truly stunning engraved hipflask is a fabulous present for any QPR fan and is an approved and fully licensed product.